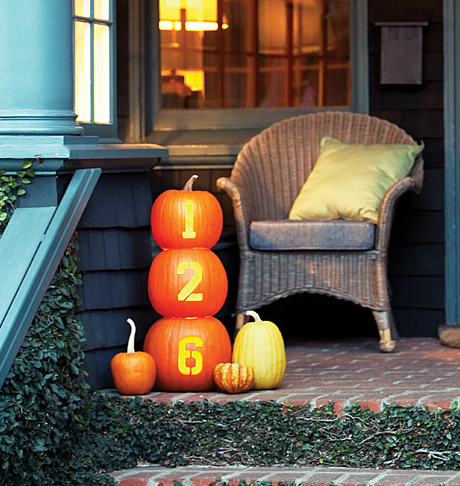 You can check out how to make outlined number pumpkins over at BHG. Very cool. I love pumpkins and fall. 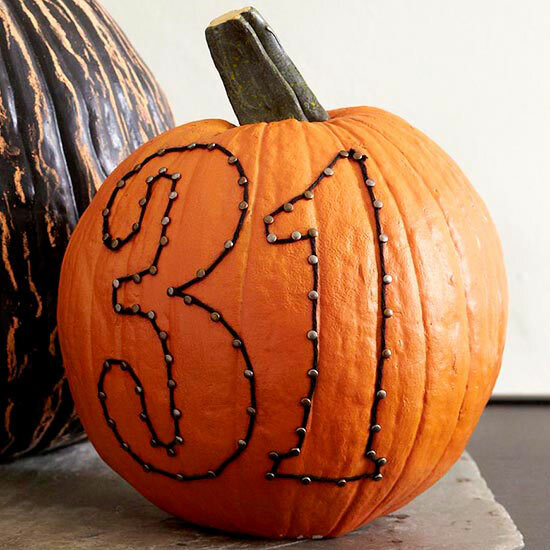 At first I thought the nails were cloves stuck into the pumpkin! love this!!!! I can't carve so the 1st one is great!